Corel’s RAW processing and workflow software AfterShot Pro 2.0 is currently free for Mac OS X. Usual price is $80/€70. The versions for Windows and Linux are discounted to $60/€50. AfterShot Pro 2 is a RAW converter, non-destructive photo editor and complete high-speed photo manager in one. 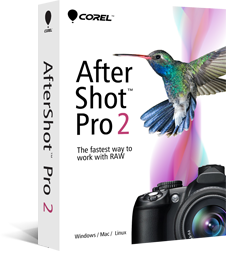 Whether you’re batch processing thousands of RAW images, or making detailed adjustments to your latest prize-winning shot, AfterShot Pro 2 gives you the tools to quickly take complete control over every aspect of your photo workflow.